According to the Insurance Institute for Highway Safety, in 2013, side-impact automobile accidents accounted for over a quarter of all fatal car accidents. A side-impact crash happens when one or more vehicles crashes head on into the side of another (commonly referred to as being “T-Boned”). These types of accidents are often caused by the negligence of the offending driving, disregarding a stop sign or running a red light. In Mohave County many people commute from one of our communities to another for work, travel or entertainment. 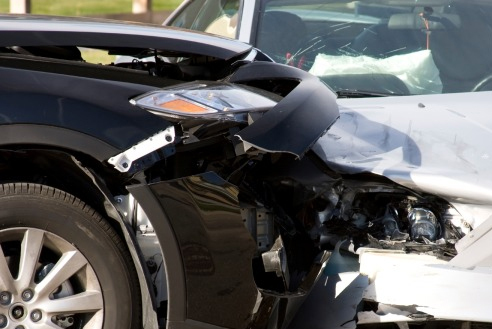 If you have been unlucky enough to experience a side-impact crash we recommend that you consult with a local, knowledgeable auto accident lawyer to optimize the results of your case. Clients who need a Northern Arizona Accident & Injury Lawyer are welcome to visit our Kingman, AZ, law offices, but we are more than willing to also meet with clients in Bullhead City or Lake Havasu City. If you or a loved one has been injured in any type of vehicle accident, whether it involves a car, motorcycle, semi truck or commercial vehicle, we offer the solid experience and top notch legal representation that you need to support your rights. If a loved one died in an accident, survivors have similar rights for compensation for that loss as well.